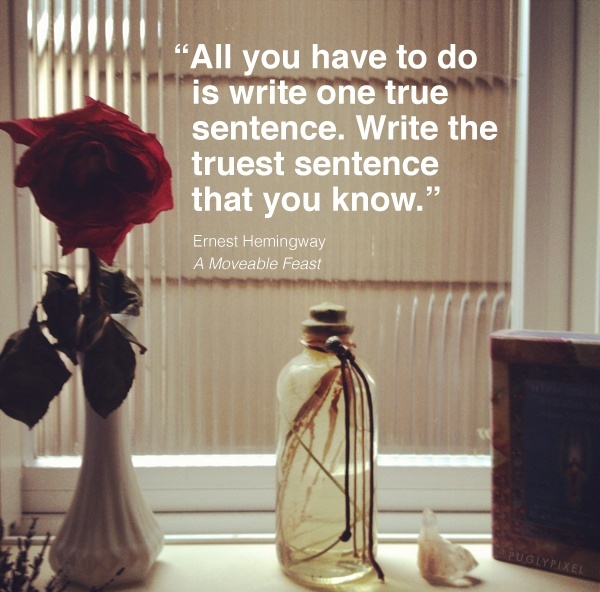 This quote by Ernest Hemingway is so inspiring, when you have no words, write one true sentence. 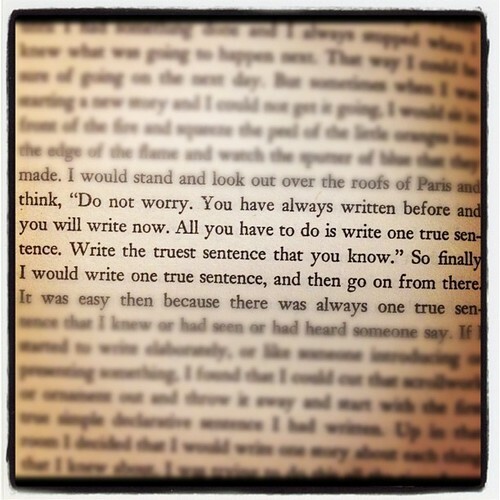 Don’t be afraid of the truth. It is the beginning of your passion and inspiration.